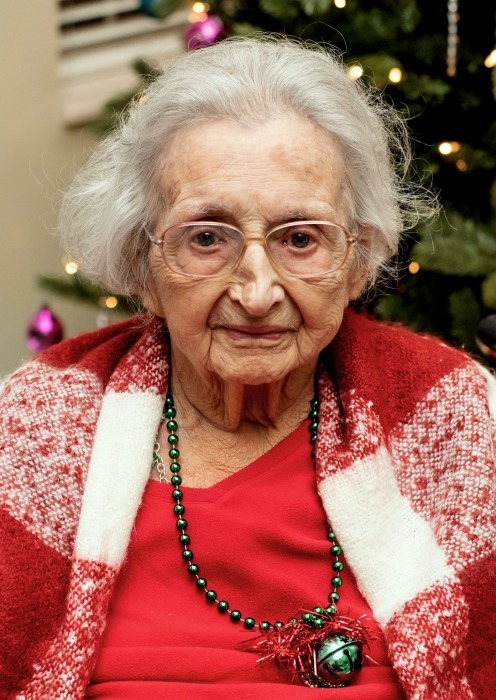 Cornelia McReynolds Jackson, 95, of Scottsville, KY passed away Saturday, February 9, 2019 at Cal Turner Rehab and Specialty Care. The Scottsville, KY native was a homemaker, a retired employee of General Electric, the oldest member of Mt. Pleasant United Methodist Church, Twightlighters Homemakers and Scottsville Chapter #60 Order of Eastern Star. She was a daughter of the late Rory McReynolds and Leamon Stone McReynolds and wife of the late Buel Franklin Jackson. She was preceded in death by 1 brother: John McReynolds and wife, Leila; 1 brother-in-law: Frank Taggart and 1 great great grandson: Axton Michael Gunter. Funeral services will be 2:00 P.M. Wednesday at Goad Funeral Home with Bro. Keith Patrick and Bro. Danny Patrick officiating and burial in Mt. Pleasant Cemetery. Visitation will be 5:00 P.M. to 8:00 P.M. Monday, 7:00 A.M. to 8:00 P.M. Tuesday and after 7:00 A.M. Wednesday until funeral time at Goad Funeral Home.